The Dolomites group is famous mostly for the snow sport activities. 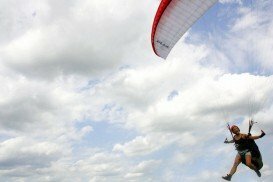 However, here in Trentino of Alto Adige in northern Italy, among slopes, peaks and valleys, one sport is very popular, paragliding. 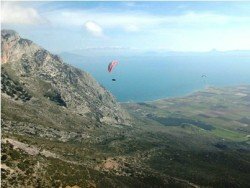 Paragliding is one of the few sports here, that can be practiced throughout the year. 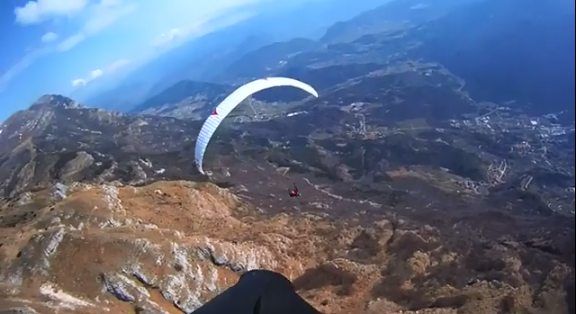 Depending on the season, paragliding fans just change flight points. Flying to the Dolomites di Brenta gives you that unforgettable feeling of open space and absolute freedom. Overlooking the lake Molveno or the valley di Fassa while you are flying on the alpine sky is for sure a striking moment. Keep in mind that you can enjoy paragliding in Molveno lake since it is only there where there is no wind or the wind blow from south or south-west. 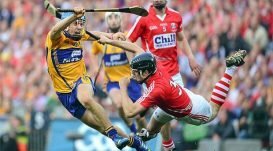 In any case, do not attempt flying while north winds blow!! 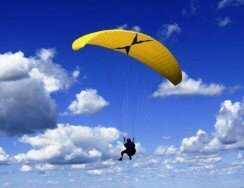 Paragliding does not require any previous experience. Very well organized schools and instructors are at your disposal, facilitating your efforts. The “Patrick Rafting Center” organizes Basic, Advanced and Safety Courses for Hydrospeed Guides, with immediate opportunities and pay with an established framework to Hydrospeed Guide. Location: Pescara River & Aventino River, Abruzzo region or where requested. – Reserved for those who have already attended the basic course, a prerequisite for the SAFETY COURSE. 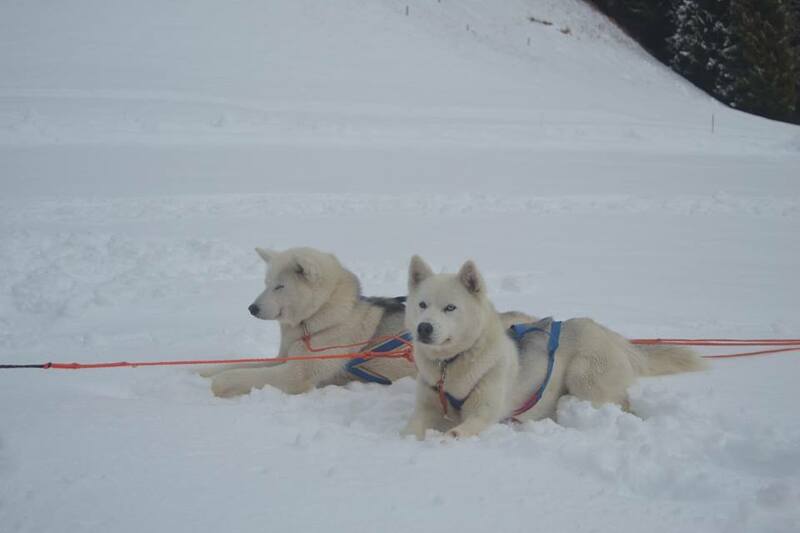 Dog sledding experience in the extraordinary local of the Dolomites, accompanied by our 12 fantastic Siberian Huskies. Initial course + dog sledding ride. Before the ride, we will teach you how to drive a sled, how to harness the dogs and how to tie them to the sled. After that you can choose if you want to drive the sled on your own or if you want to sit on the sled driven by us. For those who have already attended the BASE course and know fundamental maneuvers. Course teaches the fundamentals in choppy water. It includes the necessary notions of security. This course is designed for who want to learn kitesurfing in a lake, and need help to learn what to do on a beach; or for who need to go deeper in safety procedures. It could be a group lesson. Intensive in-depth for river rescue in support of Rafting and Hydrospeed descents. Reserved to those who have already participated in BASIC, ADVANCED and SAFETY Courses. 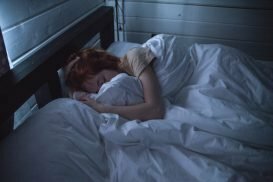 BASE: Full immersion, 3 hours in the morning and 3 in the afternoon. For those who do not have canoe experience or do not know the fundamental maneuvers. The course teaches the fundamentals in flat water. It includes the necessary notions of security. BASE 2 days.3 hours a day. For those who do not have canoe experience or do not know the fundamental maneuvers. The course teaches the fundamentals in flat water. It includes the necessary notions of security. The goal of that course is to give you a good knowledge about safety in kitesurfing, good control of the kite and start to ride the board. You can choose to have private (270 €) or semiprivate lessons (210 €). The course is arranged in 3 lessons of 2 hours each, for a total of 6 hours. 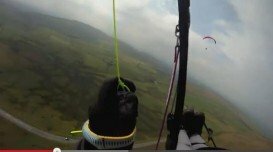 This course is for all intermediate and advanced riders that want to give a boost to their kiting skills! 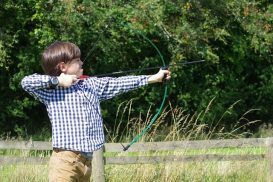 We have three different lesson programs depending on your level. For the waveriding program we recommend April and May. River Rafting Tour Class I / IV + and outdoor experiences on Noce River. Not an expedition. 10 Days – air travel not included. The “Patrick Rafting Center” organizes Basic, Advanced and Safety Courses for Rafting Guides, with immediate opportunities and pay with an established framework to Rafting Guide. Equipment rental: Equipment rental is 25€/hr or 70€/day unlimited time (complete set, kite+board+harness). We have only brand new kite, board, harness from our sponsor RRD. 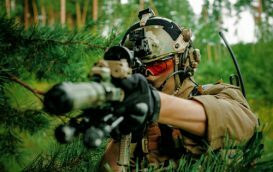 -Intensive course on the security river. – Reserved for those who have already participated in the courses BASIC and ADVANCED. Intensive course on the river security. Reserved to those who have already participated in the BASIC and ADVANCED Courses. This activity consists of a walk in the mountains with our Siberian Huskies. This consists in a walk in the mountains with the dogs. The dogs wear a dog sledding harness and you will wear a specific belt. By mean of a rope, you will be connected to the dogs. In this way, the dogs will accompany you in your walk. You want to try kitesurfing… but you don’t know yet if you like it or not, or you want to make a present to a friend. It’s the course for you at only 99€ for 3 hours lesson! The lesson could be semiprivate (2 student 1 instructor). River Rafting, Wind Tunnel Flying & Outdoor activities in Grugliasco, Italy. July 2017. 3 Days – air travel not included. This is an intensive kite course, it’s designed for those who want to start as total beginner and end as independent kiteboarder!!! The goal of that course is to give you a good knowledge about safety in kitesurfing, ride in both directions, ride with strong wind, riding upwind. You’ll become a super kiter!!! The course is arranged in 6 lessons of 2 hours each, for a total of 12 hours. We recommend a stay of at least 9 days. Agrinio is the largest city and economical center of Aetoloakarnania. The climate here, as in the rest of the country, is classified as Mediterranean, with mild winters and hot, dry summers. 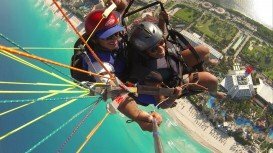 Cancun is located on the southeast coast of Mexico, in the Mexican state of Quintana Roo in the Yucatan Peninsula. 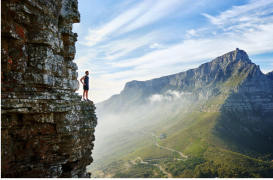 The climate here is classified as a tropical climate, with an annual average temperature of 27.1°C / 80.8°F. Cancun enchants its visitors with unrivaled natural beauty, modern amenities, exquisite beaches with white sand and turquoise waters and the famous Mexican hospitality. Düsseldorf is the center of the Rhine – Ruhr metropolitan region and the capital city of the German state of North Rhine – Westphalia. It is known for its fine arts, its relatively large Japanese community and its pioneering influence on experimental – electronic music. Nonetheless, Düsseldorf is also famous for its extreme sports activities, being performed in the wider area. Berlin is the capital city of Germany and one of the 16 states in Germany. It is the largest city and second most popular in Germany and ninth most popular in the European Union. It is situated on the River Spree in northeastern Germany and is the center of the Berlin – Brandenburg Metropolitan Region. Berlin is a world city of politics, media, culture, science and of course sports! Manchester is a vibrant city, located in Greater Manchester, England. The climate here is classified as a temperate maritime climate, like much of the British Isles, with cold winters and warm summers. Manchester is noted as much for its historical buildings, theaters, music scenes and attractions, as for its sports and leisure activities. Munich is the capital of Bavaria State and one of its biggest cities. It is situated on the north of the Bavarian Alps on the River Isar and it is the third largest city in Germany, just behind Berlin and Hamburg. Snowshoeing is a new trend of the recent years in the winter resorts. Although snowshoeing is a very old technique for moving on the snow, the activity has been re-emerged as a funny, relaxing and easy way to discover snowy landscapes over the last years. Without requiring any kind of ability or training, snowshoeing can give you a sense of peace and serenity while exploring paths and routes, covered by clear fresh snow. 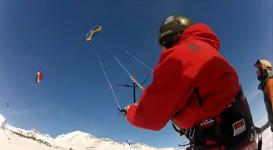 Nowadays, snow kiting has become a new trend in the winter resorts. In Trentino – Alto Adige, in Northern Italy, the right spot for exercising your preferred sport is Passo Tonale, which separates the Stelvio National Park from the Madonna di Campiglio ski area. 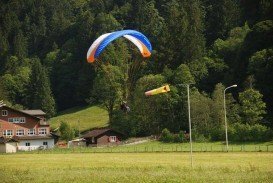 Trentino - Alto Adige, in northern Italy, has recently become a point of attraction for the enthusiasts of hand gliding. The famous Dolomites di Brenta mountain group is a hot spot for flying, due to its plentiful peaks and slopes. 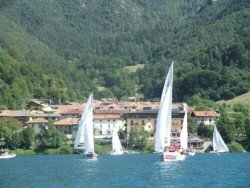 In Trentino – Alto Adige, an alpine region in the north of Italy, sailing can be an outstanding experience. The water sports here, in Dolomites mountain group, are not a very frequent leisure activity but nonetheless they are very well organized and count several years of experience. 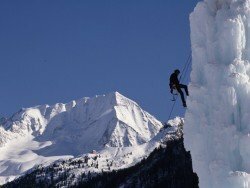 In Trentino-South Tyrol, in north Italy, ice climbing is a seriously widespread sport activity. The Italian Alps are a natural shaped arena for the fans of ice climbing. Here, the environment offers the unique possibility to challenge you both in alpine and in water ice. 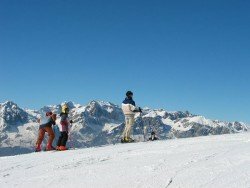 The Dolomites mountain chain and its surroundings is just the ideal location for anyone to practice all kind of snow and ice activities. 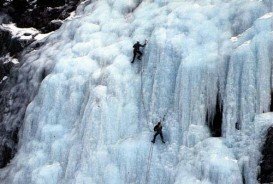 Ice climbing fans can find here an exceptional arena with countless options for practicing their preferred sport. In Corvara, no more than 20 km/12.4 mi from Cortina d' Ampezzo, there is one of the largest artificial installations in Europe. 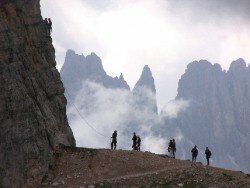 Cortina d’ Ampezzo, the most well known resort in Dolomites mountain chain area, offers excellent conditions for the passionate of mountain sports and especially for the lovers of mountain climbing. Val Senales, located in the western foothills of the Dolomites mountain chain, 29 km/18 mi from Merano town, is the ideal arena for the snowboarding enthusiast.